As the Asian games come to an end, a new competition of Olympic size proportions is getting under way. Veterans of Korean winters past already know the importance of finding that perfect cold weather cover up. Avoid a rookie mistake and choose the coat that will bring true swaddled victory along with shivering envy from your peers and passersby. Whether the brand is a household name or an anonymous standout, we have your playing field covered—quite literally. For eternal glory, refer to the medal placing picks in all categories. If performance is the highest priority, then the offerings at WPstore in Garosu-gil receive high marks. 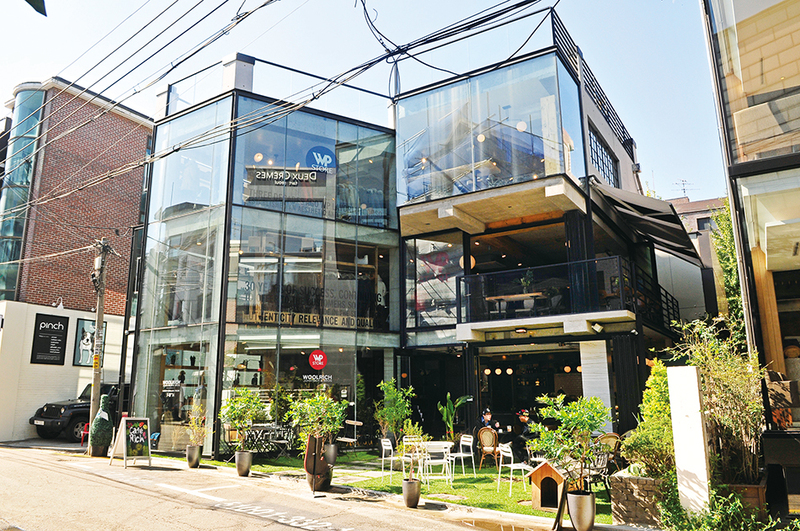 The café/select shop can be found on the ever evolving back streets of the popular Sinsa shopping district. Carrying heritage brand favorites like Woolrich, Baracuta and Barena, serious winter apparel can be found for men, women and children. 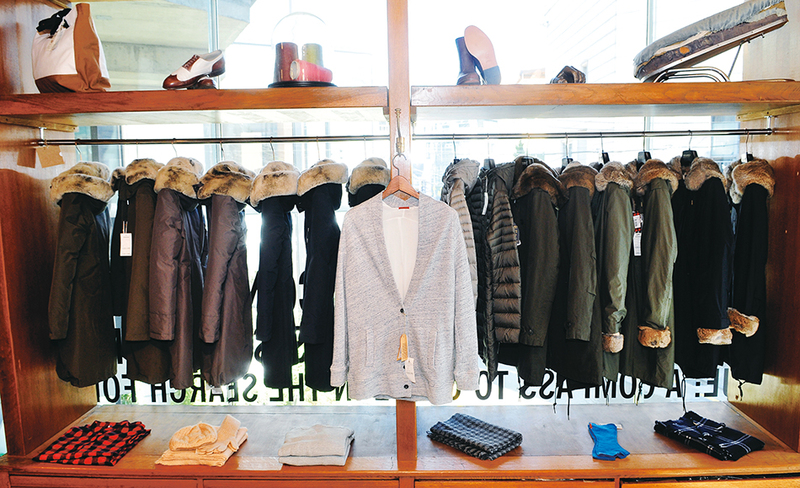 There are not many brands that have retained their quality as their careers have become legacy, but Woolrich, the American-based heritage brand operating in Pennsylvania since 1830, has done just that. In total, there are six different parka styles for men and eleven for women, all in extensive colorways. The variations of their classic parka boast of Teflon treatments, fleece-lined pockets, both zipper and button closures, detachable coyote fur-lined hoods and duck down insulation. These coats are meant for arctic temperatures, yet still maintain a classic, no-fuss aesthetic in their design. The Baracuta brand, famous for being one of the first UK companies to produce the Harrington-style jacket in the 1960s, has also continued to deliver its iconic design. Another historically established producer of quality, cool weather fabric, Barena makes men’s and women’s coats while honoring the Venetian traditions upon which it was founded. 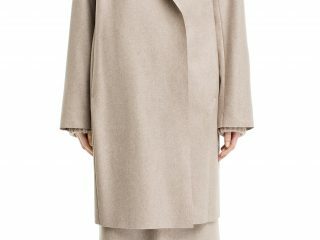 Their women’s full length wool overcoats can turn a bland outfit meant to simply help you survive the weather into a statement. Investing in any of the brands found at WPstore is sure to receive tens across the board. Once the luge track that makes up Seoul’s sidewalks takes over, the gloom and peril of daily walks to one’s destination can be a sartorial bummer. When trying to avoid the bottomless pit of stretchy, heat tech, cotton blend layers and, maintaining a sense of effortless style can be challenging. Enter: Boon the Shop, your guardian ice angel. 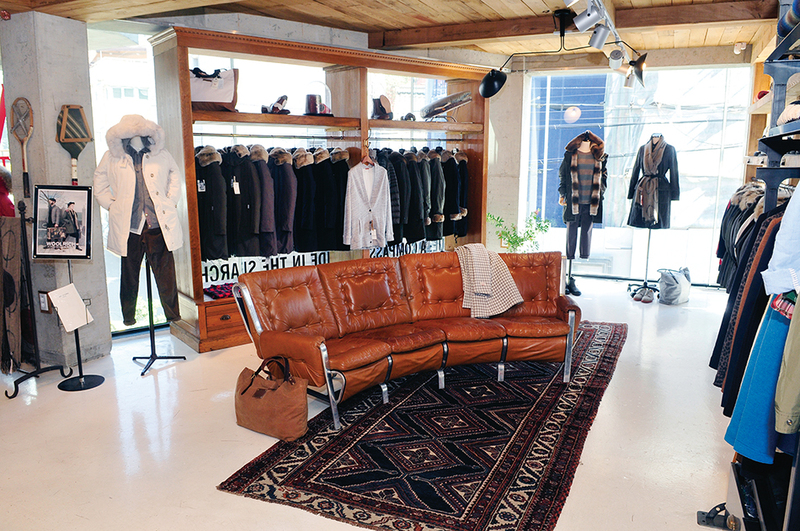 The luxury select store maintains an impressive roster of brands and has three shop locations in Seoul. 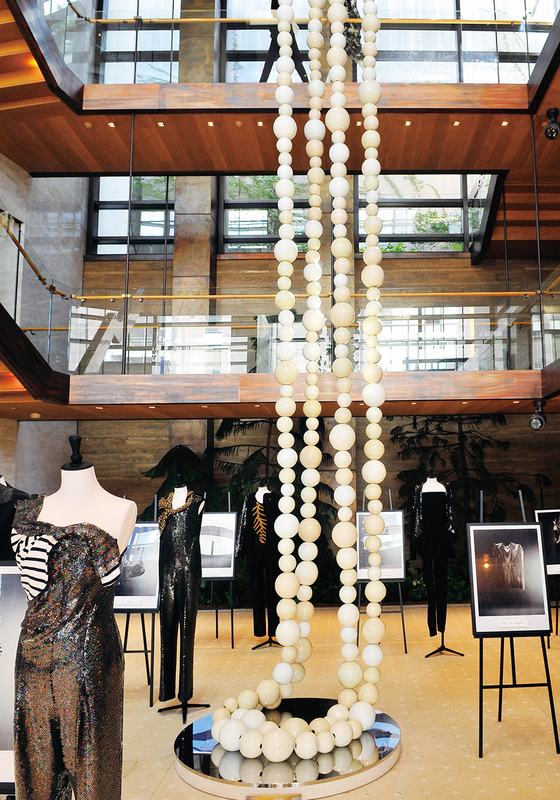 Designers from Alexander Wang to Thakoon can be found on the beautifully arranged sales floor. 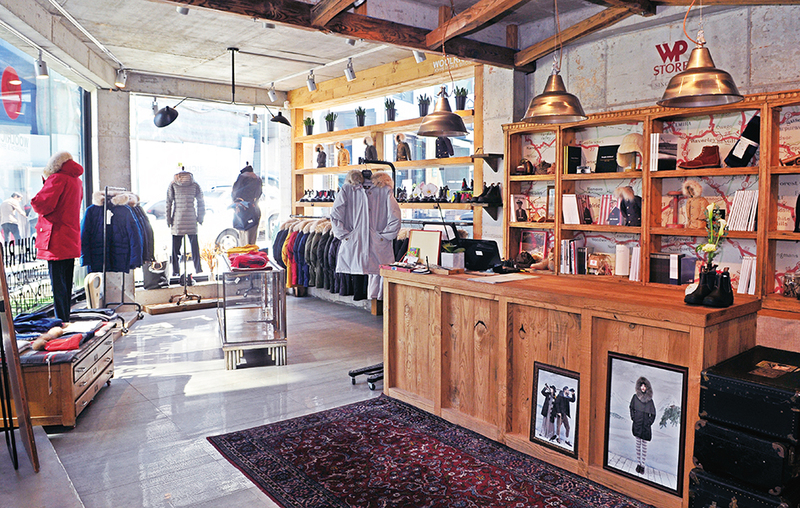 At their flagship Cheongdam location, the building’s contents resemble a women’s wear trophy room more than a retail space. This is the store to invest in that perfect camel car coat that will remain in a dust bag at all dormant times and be passed on to future offspring. They have many shop-in-shop locations at Shinsegae department stores, but for the full spectator experience, make the trip to the brick and mortar in Gangnam. GO> Use the new Bundang Line to get to Apgujeong Rodeo Station (압구정로데오역), Exit 3. Take the first right after the MCM store and it should be on the left. For those that do not want to spend the capital on brand-name jackets but also wish to find a unique option to what the fast fashions of Myeongdong, there is a dark horse entry: Page One thrift store in Hongdae is located near the Hongdae playground you are either very familiar with or have heard far too much about. 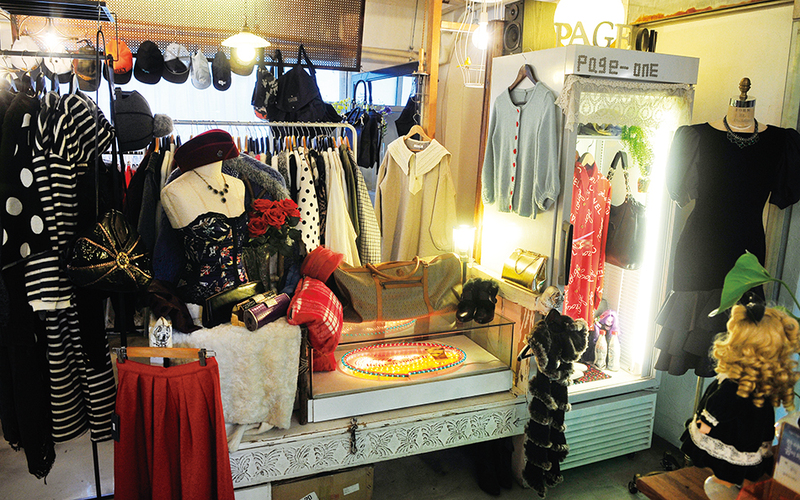 This third floor vintage shop has a great selection of men’s and women’s coats—all without the competitive haggling skills required at Dongdaemun. 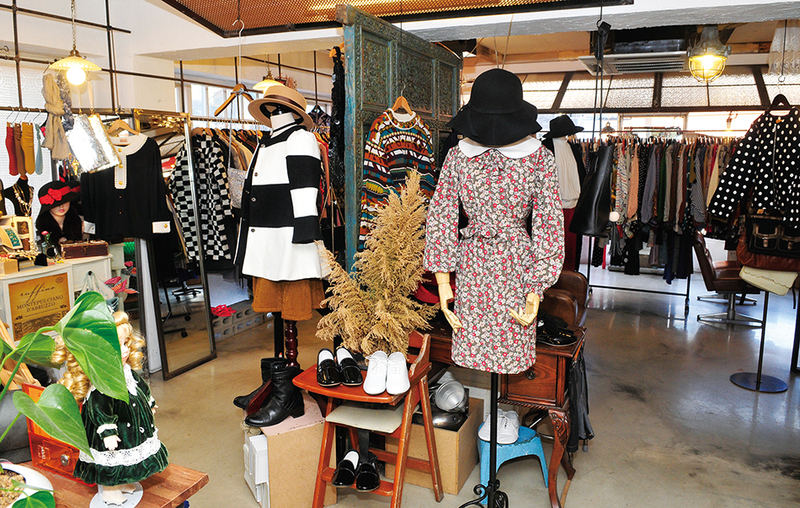 Different from other vintage shops and markets in Seoul, the garments are all tagged with a set price and they offer a discount on items paid for in cash. 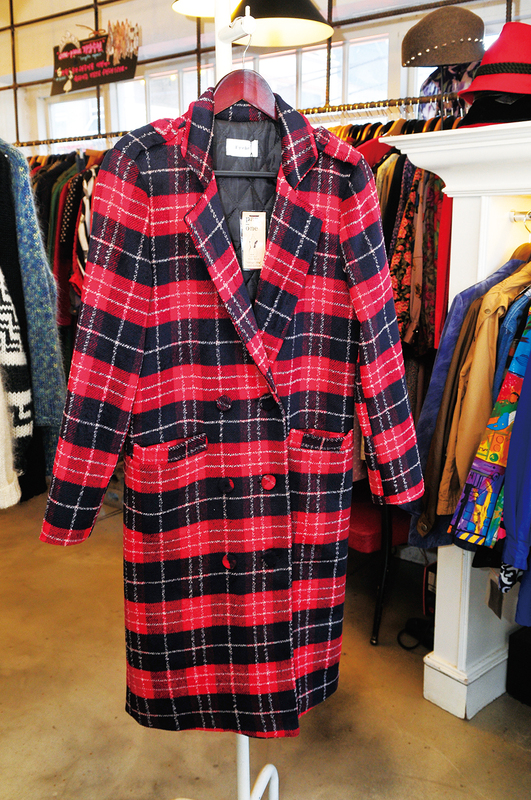 While quality may not be guaranteed, there are many pre-loved gems to be found while having the satisfaction of knowing that you definitely won’t see another person with the same overcoat. 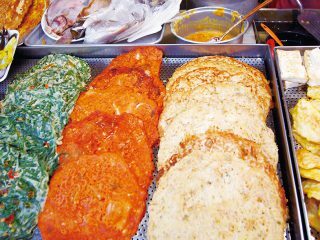 Go> From Hongdae University’s main gate, walk across the street and turn left after you pass the playground. It will be on your right—look up so you don’t miss it.